It will be delicious on the ship! For your short-term visit or your long-term planning, we provide you here with our various daily updated menus, room plans and brochures available for download. If you miss something, call us! 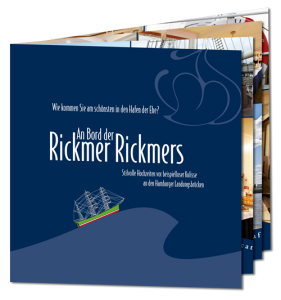 Read the Rickmer Rickmers Wedding Special to match your dream wedding on the ship, in the middle of Hamburg Harbor!